The National Achievement Survey (NAS) are representative sample of schools from all districts in India aimed at understanding the health of the education system in government, government-aided and private schools. Findings from the NAS are used as inputs in policy, planning and pedagogical interventions to improve student learning outcomes. The Rashtriya Madhyamik Shiksha Abhiyan (RMSA) is a programme to carry further the SSA programme so that the students after secondary have higher level of knowledge and skills. Therefore, it is desirable that assessment of learning levels of children at secondary stage must be carried out periodically. There are about 30 National and State Education Boards conducting Public examination at Class X in a very routine manner with emphasis on pass-fail dichotomy. A national level assessment of learning levels across states' boards will be very useful study for introspection and enhancing educational standards. In this direction, NCERT has completed the first cycle of National Achievement Survey (NAS) Class X in the year 2015. The findings of the Survey have been shared at various forums with the concerned boards/States/UTs functionaries. To observe the improvement in the learning of the students, the MHRD has decided to conduct the second cycle of the Survey. 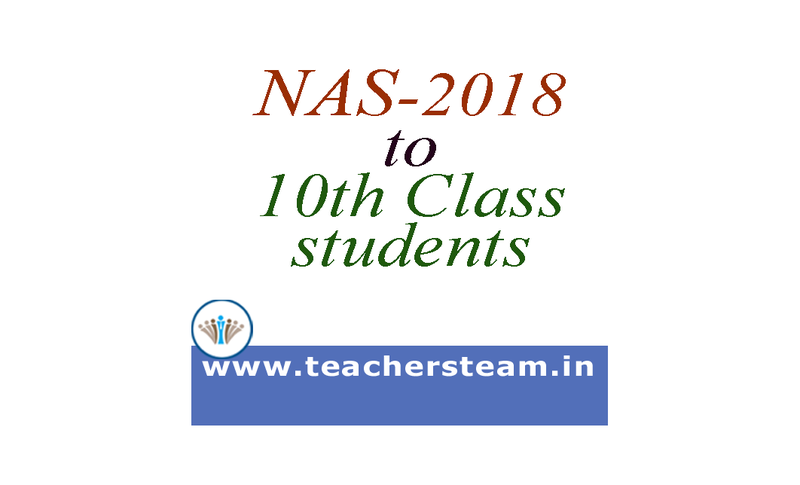 The Educational Survey Division of NCERT has initiated the NAS Class X (Cycle 2) in the year 2017. In previous cycle of NAS Class X, the reporting unit was State however, in Cycle 2 the reporting unit is District. To study the achievement levels of students of Class X from government, government-aided and private schools in the subjects–English, Mathematics, Science, Social Science and Modern Indian Language (MIL). To study the difference in achievement levels with regards to area, gender, social group, board and management of schools. To study the effect of intervening variables like students’ home background, school and teacher on achievement levels of students. To compare the performance of students in all subject from Cycle-1 to Cycle-2. Read out instructions and examples for the students from the test booklet before test administration. Explain to sampled students about filling codes on OMR sheets one by one using blackboard. Explain them that answers are to be given by darkening circle of the option in the OMR sheet. Blackboard may be used to explain the method of answering. Ask students to raise his/her hand, if there is any question regarding directions. Give sufficient time to complete the test. Ensure that Codes on OMR Sheet and SHEET-II of Field Notes must be the same. Cross check all entries are made correctly and properly on all OMR Sheets and Field Notes. Fill Teacher questionnaire (TQ) for each subject teacher who is teaching to selected section. (Use separate TQ for each subject teacher. If any teacher is teaching more than one subject to selected students, then use only one TQ for his/her main subject).